No one can tame the tongue. With it we bless our Father and with it we curse others. The wisdom from above is pure and peace-loving. 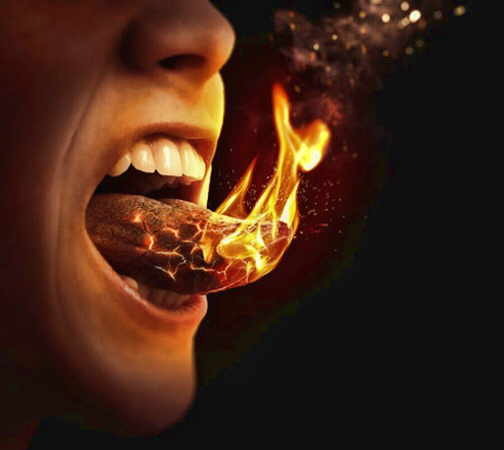 The tongue also is a fire, a world of evil among the parts of the body. It corrupts the whole person, sets the whole course of his life on fire, and is itself set on fire by hell. 1Not many of you should presume to be teachers, my brothers, because you know that we who teach will be judged more strictly. 3When we put bits into the mouths of horses to make them obey us, we can turn the whole animal. 4Or take ships as an example. Although they are so large and are driven by strong winds, they are steered by a very small rudder wherever the pilot wants to go. 5Likewise the tongue is a small part of the body, but it makes great boasts. Consider what a great forest is set on fire by a small spark. 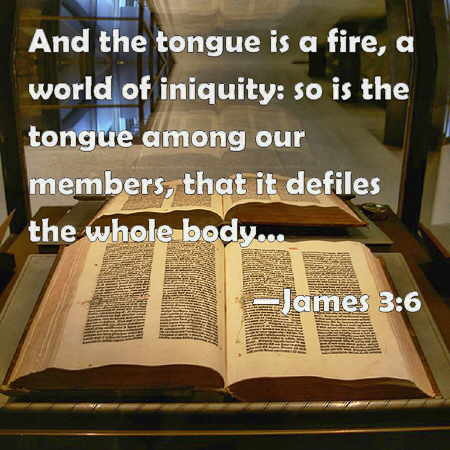 6The tongue also is a fire, a world of evil among the parts of the body. It corrupts the whole person, sets the whole course of his life on fire, and is itself set on fire by hell. 8but no man can tame the tongue. It is a restless evil, full of deadly poison. 9With the tongue we praise our Lord and Father, and with it we curse men, who have been made in God’s likeness. 10Out of the same mouth come praise and cursing. My brothers, this should not be. 11Can both fresh water and salt water flow from the same spring? 12My brothers, can a fig tree bear olives, or a grapevine bear figs? Neither can a salt spring produce fresh water. 13Who is wise and understanding among you? Let him show it by his good life, by deeds done in the humility that comes from wisdom. 14But if you harbor bitter envy and selfish ambition in your hearts, do not boast about it or deny the truth. 15Such “wisdom” does not come down from heaven but is earthly, unspiritual, of the devil. 16For where you have envy and selfish ambition, there you find disorder and every evil practice. 17But the wisdom that comes from heaven is first of all pure; then peace-loving, considerate, submissive, full of mercy and good fruit, impartial and sincere. 18Peacemakers who sow in peace raise a harvest of righteousness. James begins this chapter with a caution against many becoming teachers. In view of the stricter judgment that awaits teachers, one should be sure they possess the maturity and self-control necessary to control the tongue. James then provides a series of illustrations to demonstrate the power and danger of the tongue, and how we can easily be inconsistent in our use of it (1-12). Perhaps some sought to be teachers so as to appear wise. Yet James writes that wisdom and understanding are to be shown by one's conduct, done in meekness. He then defines and contrasts the difference between two kinds of wisdom. There is wisdom which is earthly that causes confusion and every evil thing. 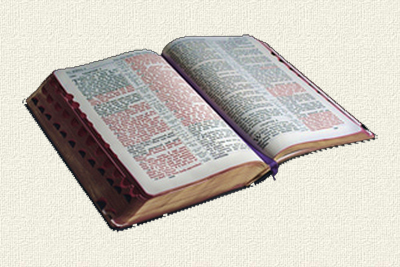 On the other hand, there is wisdom which is heavenly that produces the peaceable fruit of righteousness (13-18).